Writing a farm business plan can be a tool for you to plan your farming business. 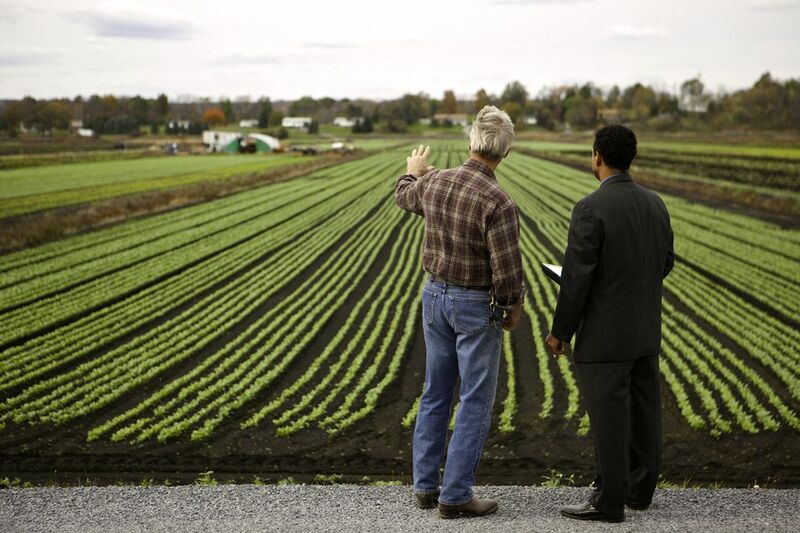 It can also be a requirement of securing grants and loans for your farm business. The process of writing a farm business plan may seem overwhelming and intimidating at first, but if you break it down into its component steps, it becomes much more manageable. A business plan is a roadmap for your small farm. It is both process and product. During the writing of a farm business plan, you'll develop an overall vision and mission for your business. You will think about your short- and long-term goals. You'll define the steps needed to achieve those goals. You'll set the direction for your business to develop over the next five years. What purpose does your farm serve? Where is your farm headed? ﻿This is beyond “make money.” This mission statement is based on your values and your core identity as a small farm. The goals in your business plan are the specific, measurable “things” you will achieve with your small farm. Short-term goals are defined as those that you will complete within one year. Long-term goals are those that take longer than one year to complete. How many acres of land are you farming? When did you begin farming? How are you currently operating? What general practices do you use for such things as conservation, tillage, environmental impact, and marketing? This is where your business plan gets to looking forward. You are going to formulate your farm strategy from now into the next five years or so. Gather information and research markets. Make sure that your farm plan fits into the general market in terms of supply and demand. Investigate and analyze industry trends, identify competitors, and define buyers. SWOT Analysis. This is an analytical tool that can be used in making decisions. SWOT stands for: strengths, weaknesses, opportunities, and threats. As a business, analyze your internal strengths and weaknesses. Then look externally at what opportunities and threats exist - competitors, new markets, government regulations, economic conditions, and so forth. Create alternative strategies. Looking at the information you've gleaned and the analysis you just did, think through options for your farm strategy. Don't rely on price alone; economies of scale are challenging on the small farm level. Don't jump to one conclusion immediately. Really spend some time fleshing out the specifics of some of the strategies and looking at their advantages and disadvantages. Try to find options that combine your internal strengths with opportunities in the external environment. Look at all your strategies, then reread your mission statement. The ideal farm plan will fit your mission best. Write an implementation plan. This is where you write a plan that will make your new strategy happen. In the next part of your farm business plan, you develop and outline a marketing strategy for your products and services. This can build on the research you did in the previous step. For each product, include ​the price, placement, and promotion ideas. Consider how you will convey real and perceived value to your customers. This part of your business plan details your farm business’ structure. Everyone who is involved in the management of the business should be listed here. External resources are listed here as well. In this section, you will need to detail the financial aspect of your farming operation. List your current finances in detail, including all income and operating expenses. Referring to your new strategy, you will forecast what is needed for future growth and to meet the goals you have outlined in terms of capital. Include what your future operating expenses will be. Writing a farm business plan is a big project. Don’t let that put you off. Your plan can be as simple as it needs to be for right now. Begin with your mission statement and goals. Do your homework by analyzing markets and researching competitors and trends. Have fun brainstorming alternative strategies and let them marinate a while. Take it one step at a time.